Becca Thorne Illustration: Draw Serge! 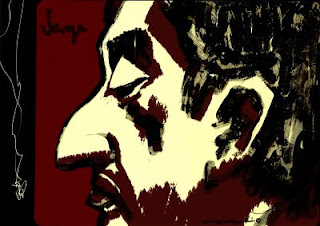 Check out Draw Serge, "an illustrative tribute to the late, great Gainsbourg", and contribute by sending them your own version of the infamous French poet/actor/director/singer. Hopefully i'll put a portrait of my own up at some point but, for now, here's this one, by Milan Rubio.